This fall, Nicki Minaj and Future will be going on a worldwide tour together across the United States of America before then hitting Europe in early 2019. Titled the “NickiHndrxx Tour“, the two of them will kick off the North America run in Baltimore on September 21st before finishing it in Las Vegas on November 24th. They will then travel around Europe starting in Munich on February 21st and wrapping it up in Geneva on March 28th. You can check out a full list of dates and cities below. 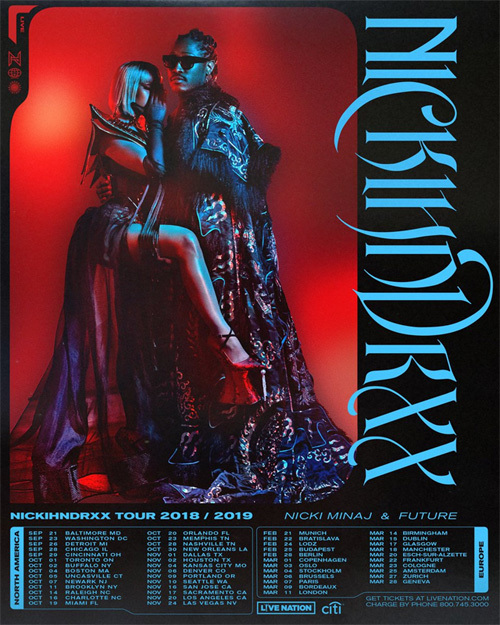 If you wish to buy tickets for the “NickiHndrxx Tour“, pre-sale for Citi card members will begin today from 10:00AM, while general public will go on sale this Friday (June 15th)! Drake has announced an upcoming joint tour with Migos later this year dubbed the “Aubrey & The Three Migos Tour“. The 6 God, Quavo, Offset, and Takeoff will begin their 41-city North American tour in Salt Lake City on July 26th and finish it in Atlanta on November 17th. If you wish to grab tickets, pre-sale begins today from 10:00AM before they go on sale to the general public this Friday on May 18th via Ticketmaster. 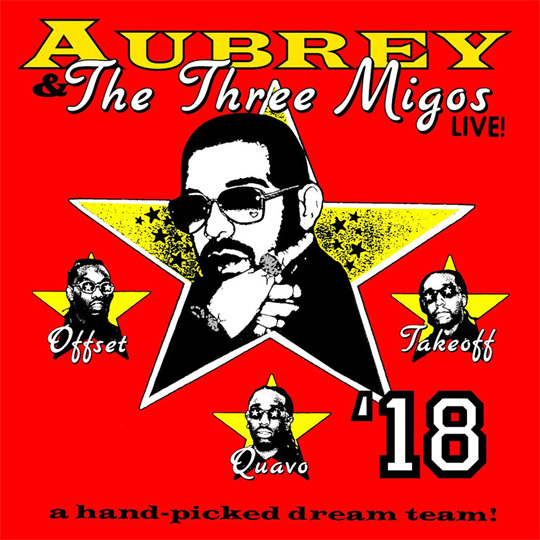 You can view a full list of dates and cities for the “Aubrey & The Three Migos Tour” after the jump below! Will you be going to one of the stops? 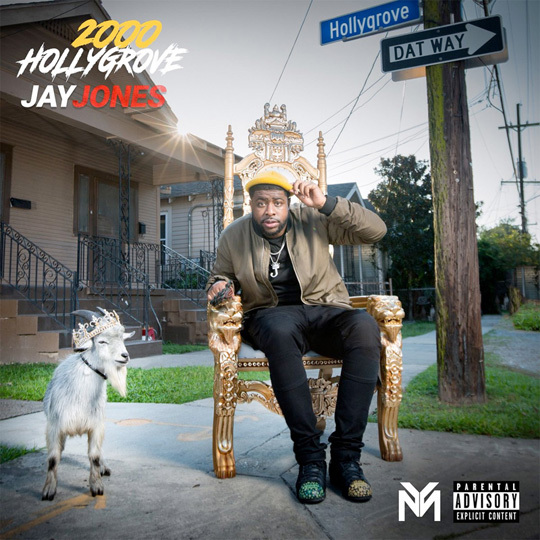 Jay Jones has released his debut project on Young Money called 2000 Hollygrove via all music platforms. The project includes the songs “Jump Back“, “Juice” featuring KT, “Don’t Judge Me“, “Ransom” featuring Pusha, and “Westside Jones“. Click here to purchase Jay‘s 2000 Hollygrove project off iTunes! Farruko, Bad Bunny and Rvssian have grabbed Nicki Minaj and 21 Savage for the official remix to their “Krippy Kush” collaboration. The original version of this Alex Killer and Rvssian-co-produced song can be found on Farruko‘s TrapXFicante album, available to buy now. You can stream the “Krippy Kush” remix after the jump below and purchase the track via your preferred streaming service here! Jay Jones has now released his brand new single called “Jump Back” on all music platforms. The latest Young Money signee also announced that his forthcoming 2000 Hollygrove project will drop at the end of the year on December 29th. 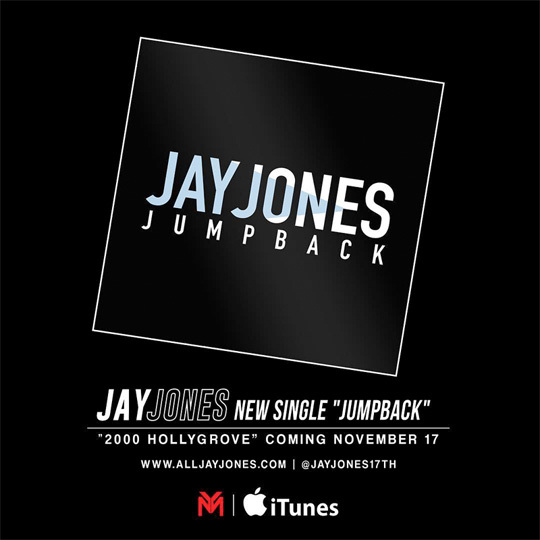 Click here to purchase Jay‘s “Jump Back” single off iTunes and here to see a sneak peek of the music video that is being directed by Cinemadona! 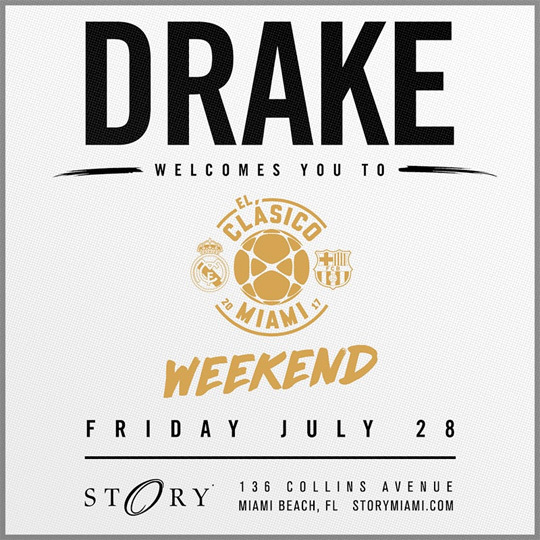 Tonight (July 28th), Drake will be hosting an “El Clasico” event at STORY Nightclub in Miami, Florida. Drizzy is hosting the party for the Real Madrid vs. Barcelona soccer game, which will be taking place in Miami tomorrow as a friendly before the season begins. 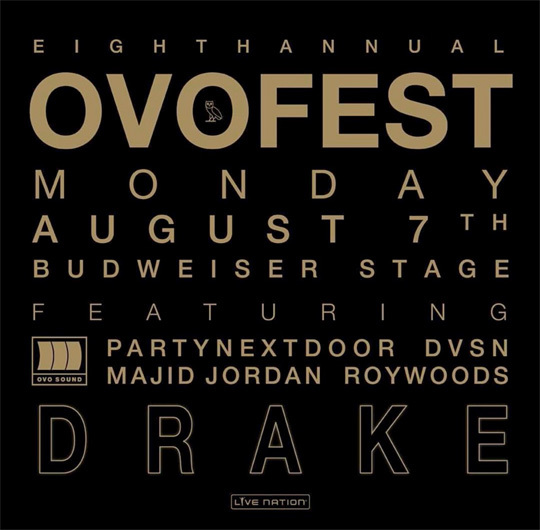 If you wish to attend STORY Nightclub later today and see the 6 God live, click here to order your tickets online!